Product code: ES3544 Categories: Sold Items, Sold Rings. 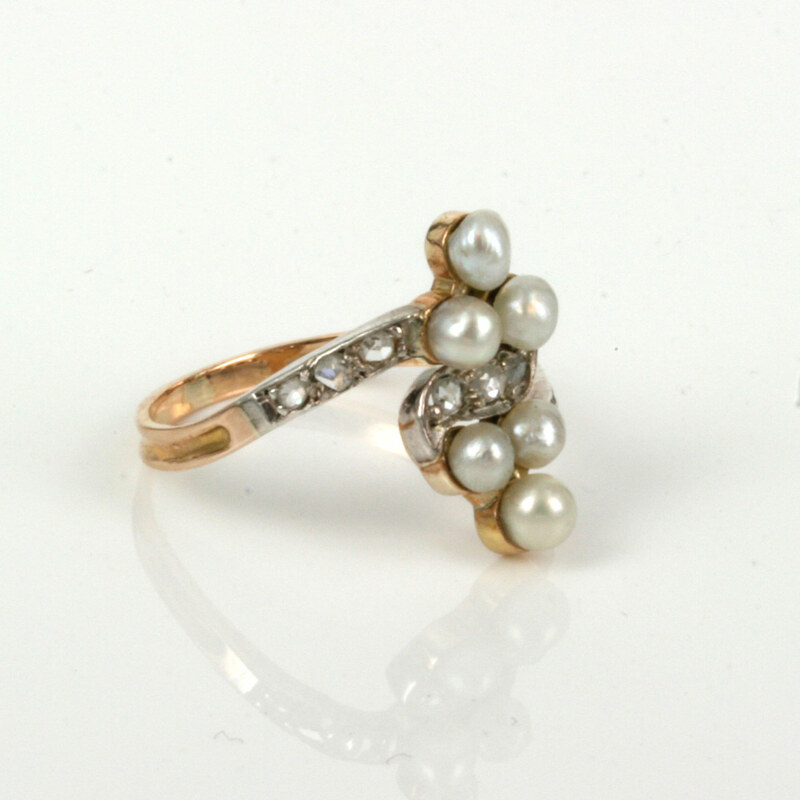 Art Nouveau jewellery is easily characterised by having free flowing lines which can be seen here in this ring. Hand made in the late 1800’s in 18ct gold and silver. Silver was used for the top of rings and brooches as white gold was not yet invented and platinum was not used for jewellery until the early 20th Century. The naturalistic swirl to this ring makes it look so good on the finger and also manages to give it a “modern” contemporary look to it. 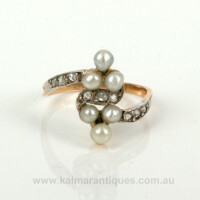 Set into the ring are 9 rose cut diamonds that total 0.09 carats and 6 pearls. From one pearl at one end to the other it measures 15mm in length by approximately 7.1mm across from where the diamonds start on one side across to the other. Art Nouveau jewellery has a style all unto itself and is so beautiful and unique.